Since the pollen has died down, the girls need protein. 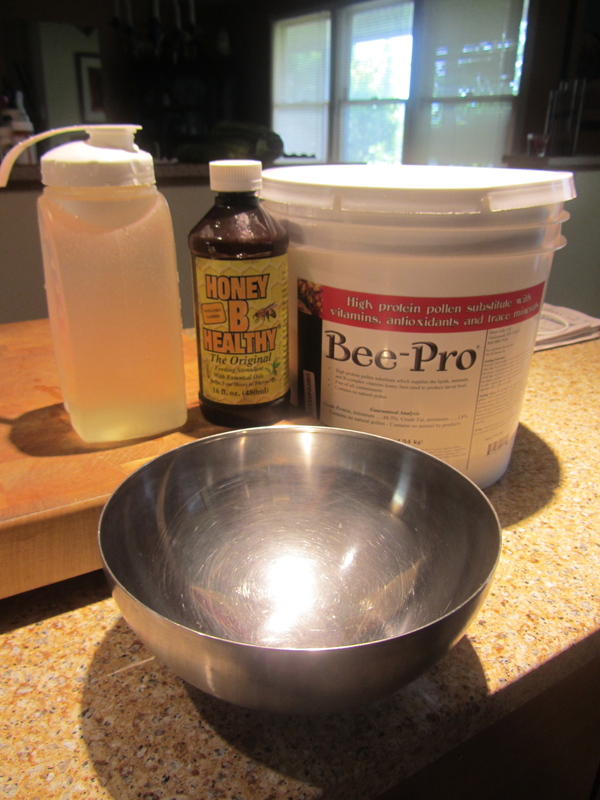 So I ordered a bucket of BeePro – pollen substitute – and after watching a few videos, came up with my own recipe for pollen patties. 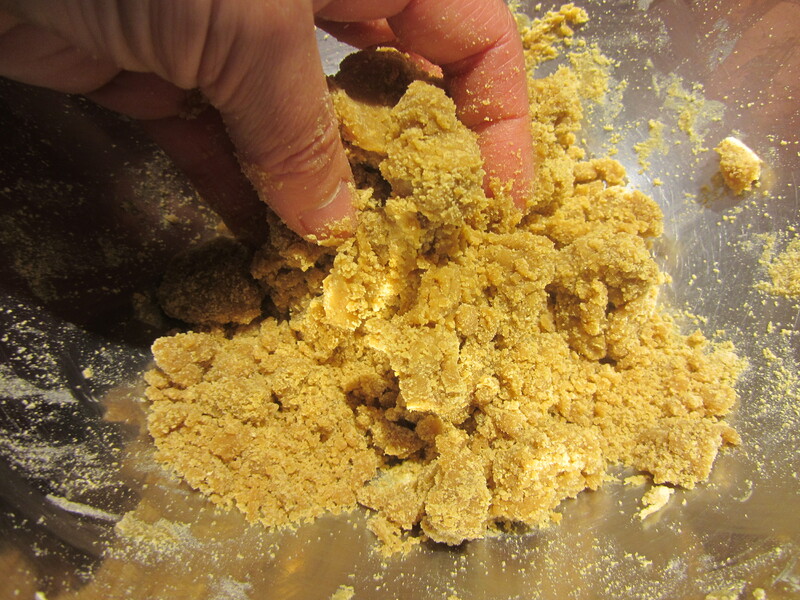 Easy to do, I added HoneyBHealthy for some added nutrients. The girls took to them immediately! I kept the patties to no larger than 4×4 inches. This recipe makes about 4-6 patties, but you can multiply the recipe to make more. 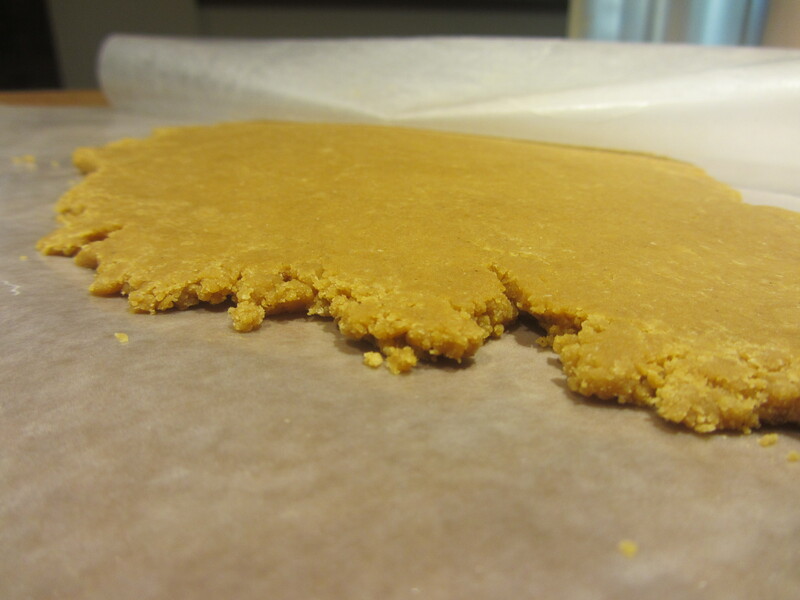 They freeze well until needed. Note: Pollen patties attract hive beetles, so ideally you want the bees to consume the patty within 3 days. 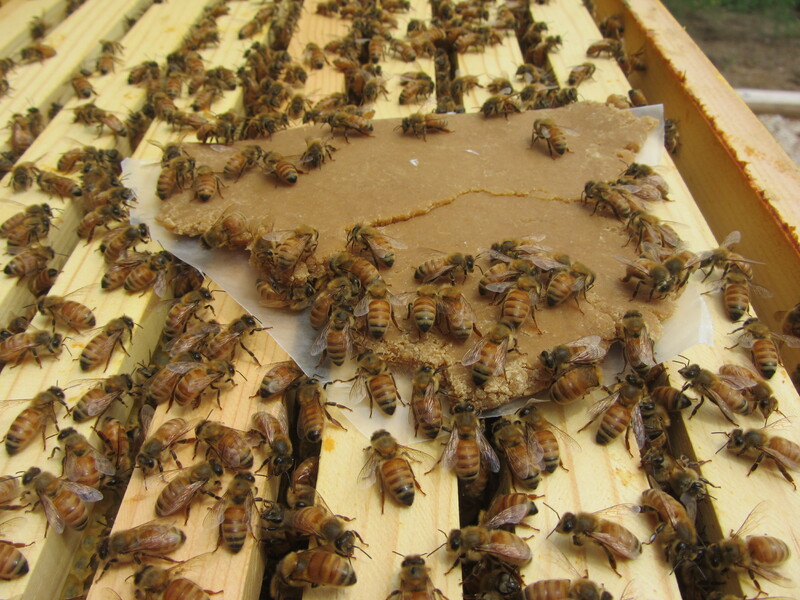 Best not to put more than one patty in the hive at one time, unless you have a very strong hive and minimal problems with hive beetles. Mix them together. Hands work well. 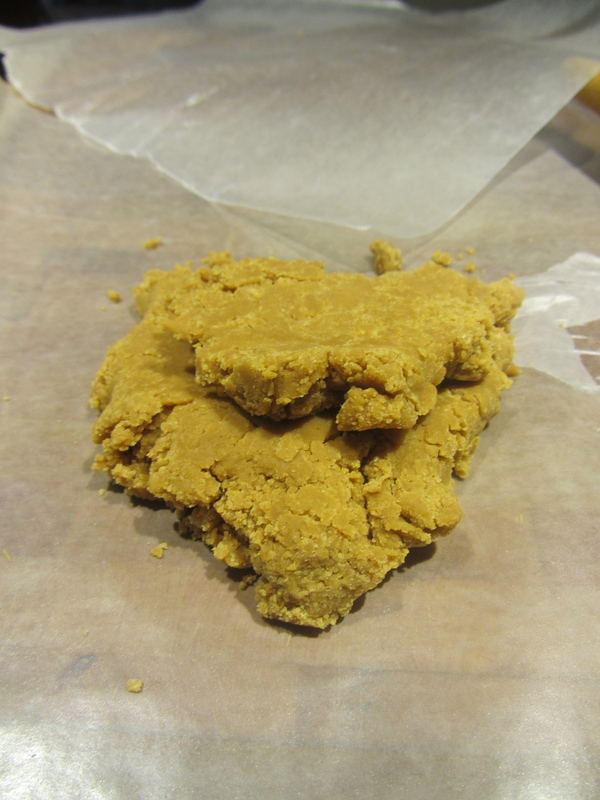 You want the consistency of play-doh. Pull off a piece no larger than a golf ball. The piece in this photo is too big. 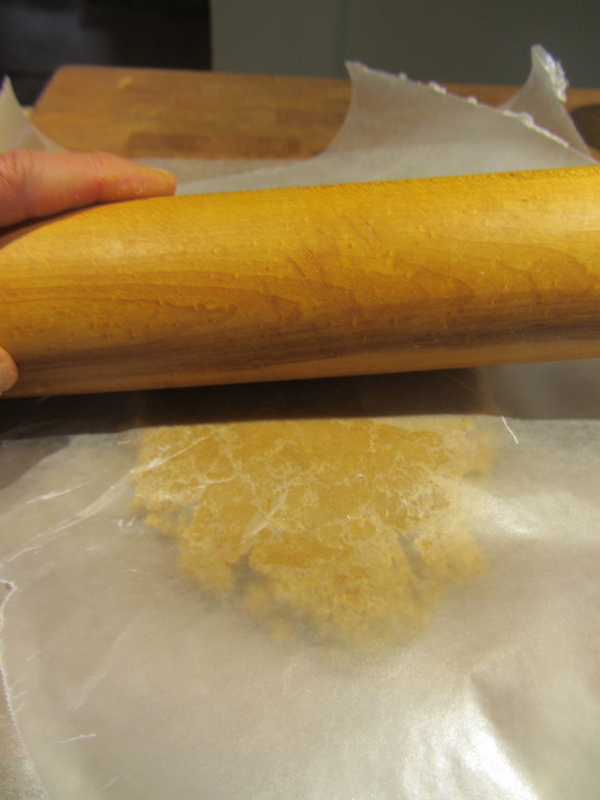 Place between two sheets of wax paper or parchment and roll them into patties. About a 1/4 inch thickness is good. 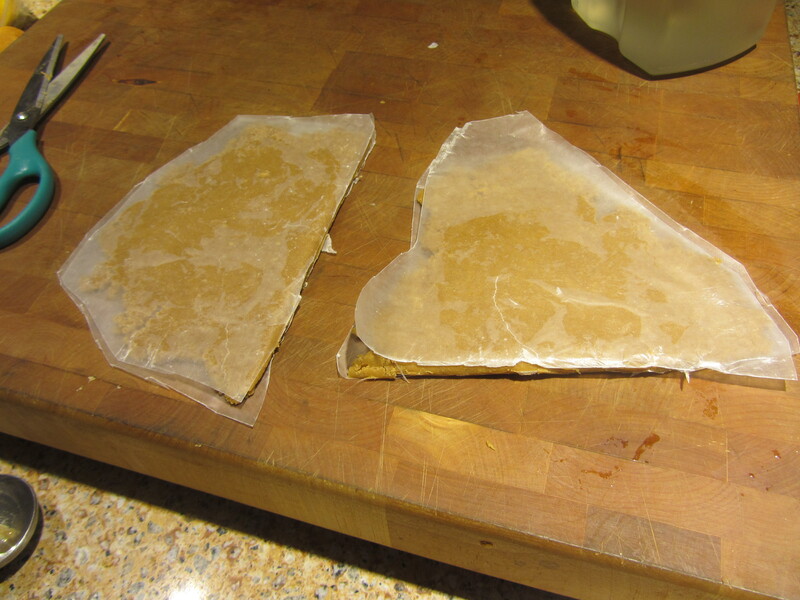 Leave the patty between the wax paper and cut the excess paper around the edges. Here are your pollen patties. 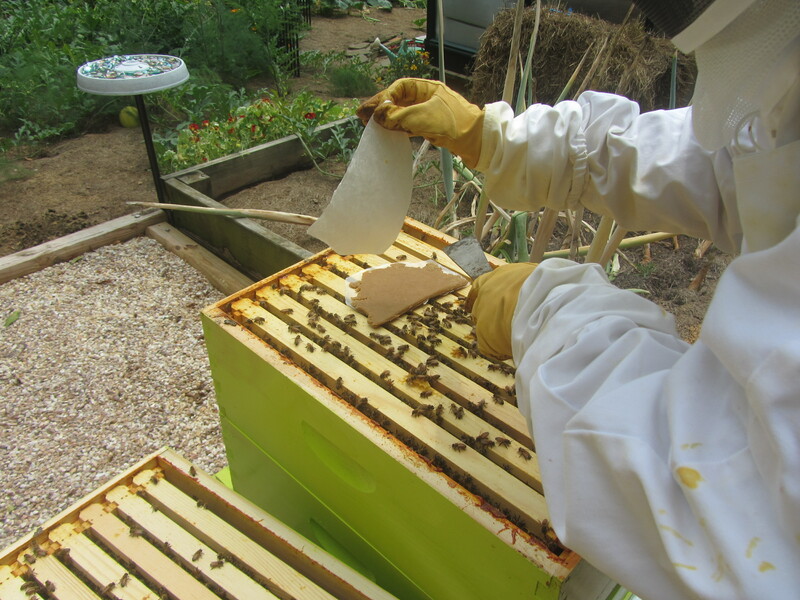 Use the edge of a knife to cut rows of small slits across the top and bottom so the bees can have easy access without having to remove the paper. The paper keeps the patty from breaking up and falling between the frames. The girls will eat right through it. 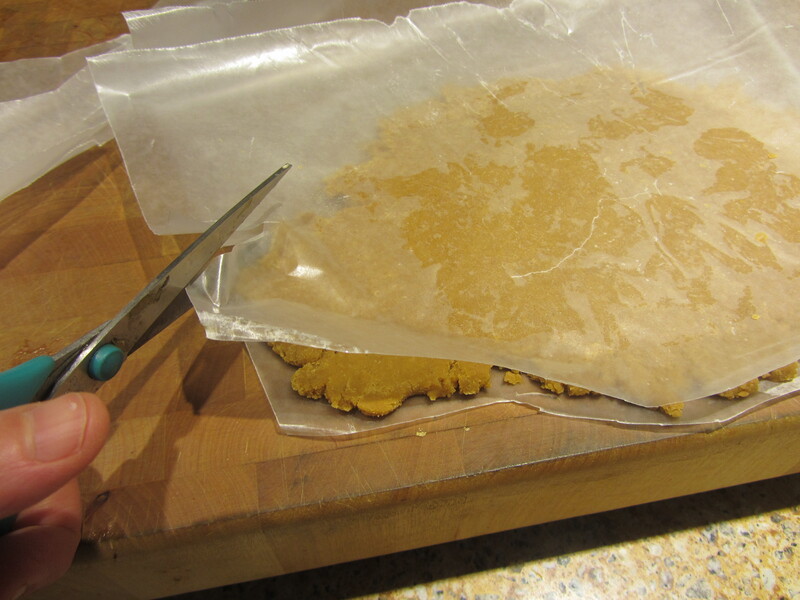 Lay directly on top of the frames above the brood and remove the top layer of wax paper. Its love at first bite!